Sonic the Hedgehog is coming to Hulu. 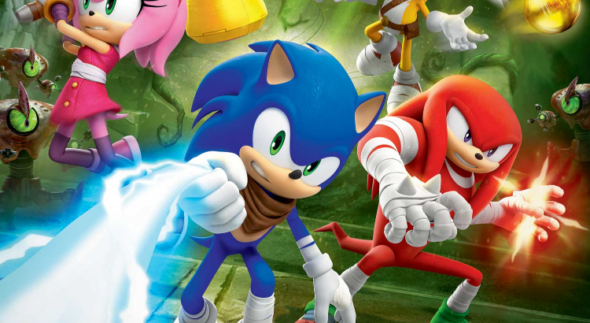 Variety reports the streaming service has acquired the CG-animated series Sonic Boom. Based on Sega’s Sonic the Hedgehog video game franchise, Sonic Boom follows the adventures of Sonic and the other residents of Bygone Island. The series premiered its first season on Cartoon Network in 2014. Beginning later this month, Hulu subscribers will have access to all 52 episodes from the first season of Sonic Boom. The series will also still be available through Cartoon Network. What do you think? Are you a fan of Sonic the Hedgehog? Will you watch Sonic Boom on Hulu? More about: Hulu TV shows: canceled or renewed?, Sonic Boom, Sonic Boom: canceled or renewed? Please bfing back Laura & the gang or sell it to another network!! !